The Olympus CX31 microscope is a quality piece of equipment specifically designed for the educational environment, offering durability as well as great images. This model has the quality that is expected of any Olympus product, at a price that educational institutions can live with. 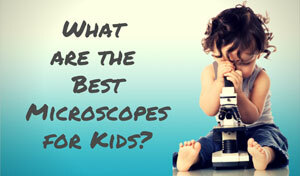 Launched in 1997, Olympus CX microscopes quickly became known as reliable models for educators and medical technicians. This series sports Olympus' award winning UIS2 optical system. This system allows for an expanded field of view, along with better contrast and higher resolution. The Olympus CX31 microscope has newly developed infinity corrected Plan C Achromat objectives. These objectives produce amazingly flat images, ones that are clear, crisp, and accurate all the way to the edge of the field of view. This feature is ideal for 10x and 40x objective powers, and has received the highest ranking for flatness. For a light source, this Olympus microscope uses a 6V/30W bulb that yields high intensity light for illuminating any specimen. It also has an aperture iris diaphragm and standard field stop. These features keep the light bright at any magnification power. Every model gets the anti-fungus treatment before it leaves the factory. 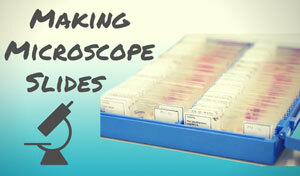 The observational tubes, eyepiece, and objectives all receive the treatment. This process protects the optical parts no matter what humidity conditions the microscope gets exposed to. The microscope is ergonomically designed for use and transport, making it comfortable to operate and easy to carry. The microscope has built-in hand grips on the front and back of the unit, so it's easy to move it safely. A nice touch in a busy science lab! This model is also a good candidate for lab abuse because it was designed to stay together. The objectives, eyepiece, observational tubes, nosepiece, stage, and other components are all firmly attached. This prevents anything from coming loose or falling off the microscope when in transport. The X-axis guide on the rackless stage does not sick out, which helps keep accidental bumps from happening. Additionally, it has low positioned coarse and fine focus knobs. This lets the user make adjustments but maintain a comfortable and natural observation position. The stage itself is a rackless design with low positioned controls. 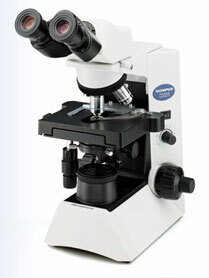 The Olympus CX31 microscope was made to work and survive in the classroom environment. The ergonomically designed body is both easy and comfortable, while still providing stellar optical features. It's sure to expand the learning opportunities in any classroom environment. This Olympus microscope is an excellent model built with quality in mind, and the basic unit is priced reasonably for most educational facilities. Still, the price tag is high enough to keep it out of the hands on the novice user. 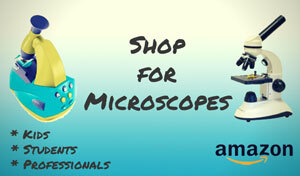 Recommended for: Lab Techs, professors, educators, or any medical or science student. This model is best for routine applications and teaching. The CX31 Olympus Micrscope has been discontinued. For this reason it can be affordably purchased on Ebay.